New Homes Wake Forest, NC; Wake County, Raleigh, North Carolina. Newly Released Single Family Estate Homes! 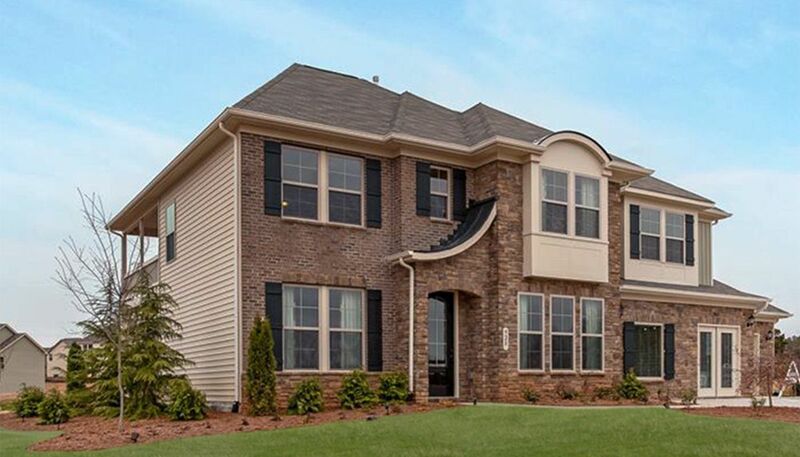 Stonegate is one of Wake Counties premier communities, conveniently located just north of Highway 401 with convenient access to I-540 and Triangle Town Center, which offers lots of shopping and dining. Community Features include a Clubhouse, a Jr. Olympic Pool w/water slide, 3 lighted tennis courts, a children's playground as well as nature trails. Wake Forest - The BEST place to live in the USA. We have history, parks, shopping and great BBQ! Visit the Wake Forest Historic Downtown district to experience the hometown eclectic feel of the area. There are great specialty shops, a farmers market, art and music shops, boutiques, candy shop, tea room, coffee and many other tasty treats. Once you visit our quaint town - you'll never want to leave Wake Forest.